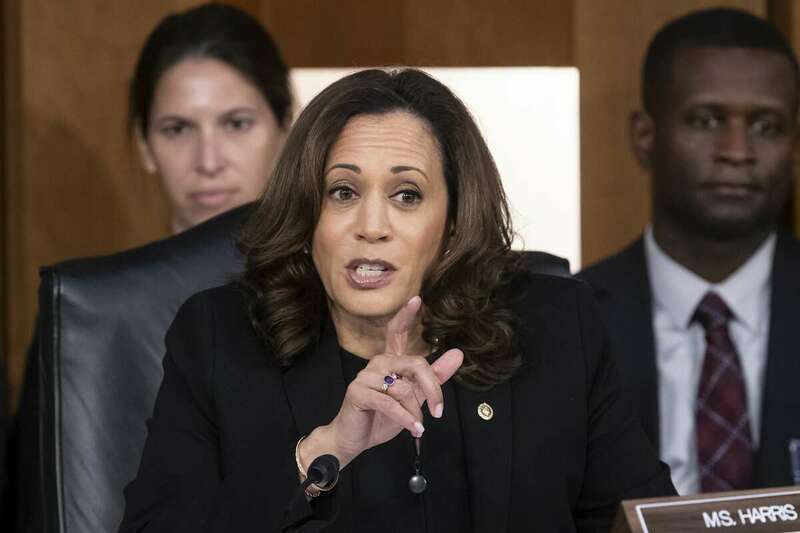 Harris took aim at Supreme Court nominee Brett M. Kavanaugh for comments he made regarding “abortion-inducing drugs” when discussing a case brought by an antiabortion religious group challenging Obamacare rules on providing employees health coverage for contraception. She is not the only Senate Democrat to claim that Kavanaugh might undermine access to birth control if he wins a seat on the court -- here’s Elizabeth Warren, Jeff Merkley and Dianne Feinstein -- but we will focus on Harris because she tweeted out a video that snipped out a key part of his statement. In 2013, Priests for Life and other Catholic hospitals, universities and the like sued the Department of Health and Human Services over the Affordable Care Act's requirement to provide contraception as part of health insurance coverage for employees. The law included an opt-out provision, but the plaintiffs, citing the Religious Freedom Restoration Act, said their exercise of religion was unfairly burdened because the ACA required that they fill out a form or be subjected to monetary penalties. The Religious Freedom and Restoration Act, a 1993 law signed by President Bill Clinton, was introduced in the House by then-Rep. Charles E. Schumer (D-N.Y.) and in the Senate by then-Sen. Edward M. Kennedy (D-Mass.). A three-judge panel of the U.S. Court of Appeals for the District of Columbia Circuit rejected that argument in 2014. The plaintiffs tried to get a hearing by the full court the next year and failed again. Kavanaugh, a member of the court, filed a dissent to explain why he would have permitted a broader hearing. The issue at hand is Kavanaugh’s reference to “abortion-inducing drugs.” A plain reading of his sentence, with its reference to "they said," suggests that he is merely reflecting the plaintiffs' argument. Harris’s decision to snip those crucial words from her first post on the video is certainly troubling. Adams also noted that the plaintiffs in their briefs referred to “abortion-inducing products,” not drugs. Given that these were comments made during a public hearing, we don’t think the distinction is especially important. Since this was a live event, when people can stumble in their remarks, we thought it would be worthwhile to review Kavanaugh’s dissent. How did he refer to the issue then? In his dissent, Kavanaugh does not refer to abortion-inducing products. (Another dissent in the case did.) Instead, he makes three references to abortion, four references to abortifacients, and 53 references to contraceptives or contraceptive. Adams challenged The Fact Checker to obtain a statement from the White House that Kavanaugh believes that the term "abortion-inducing drugs" is inaccurate. Update, Sept. 13: In answering questions submitted for the record, Kavanaugh said he was quoting the plaintiffs’ position when he used the term “abortion-inducing drugs” and was not expressing an opinion in his use of the term. Harris’s original tweet, with the “they say” language removed, was slightly mitigated by the second tweet a day later, providing the full context. But there was no acknowledgment by Harris that the original tweet was misleading. 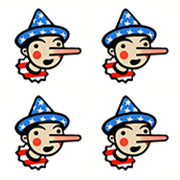 She earns Four Pinocchios -- and her fellow Democrats should drop this talking point. "Kavanaugh chooses his words very carefully, and this is a dog whistle for going after birth control."